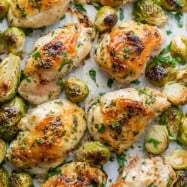 At the end of a really long day, it’s so hard to find time and motivation to cook, so I compiled this list of One Pan Recipes to answer the age old question of “what’s for dinner?” These low stress one-dish, one-pan, one-pot wonders will put a little pep in your step knowing that you won’t have a huge pile of dishes following you. We always consider the dish factor and the best kind of cleanup is minimal clean up! 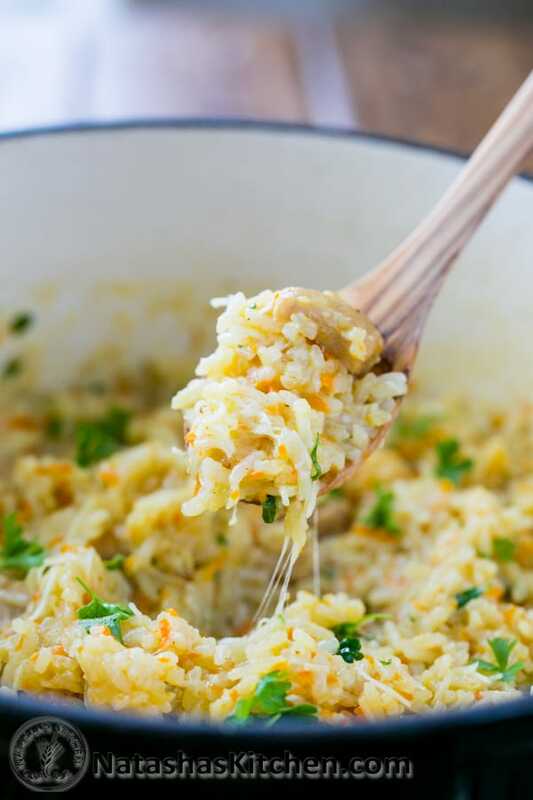 These one pan recipes are creative, highly desirable and un-intimidating so you can kick the temptation to eat out in the pants! There’s such a lovely variety of foods here for every craving; from Italian to Mexican, chicken to kielbasa and even salmon! 1. 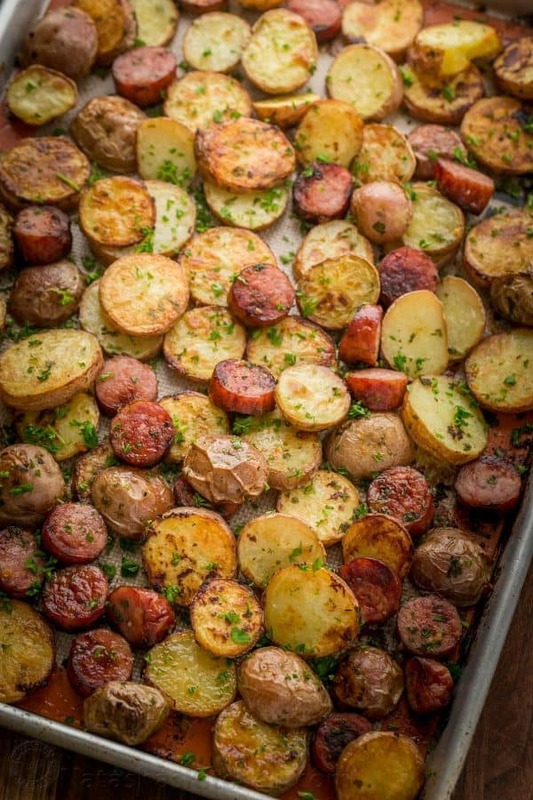 Mmm Crispy, sizzling, roasted potato and kielbasa goodness right there!! ❤️ Click for Recipe from Natasha’s Kitchen. 2. 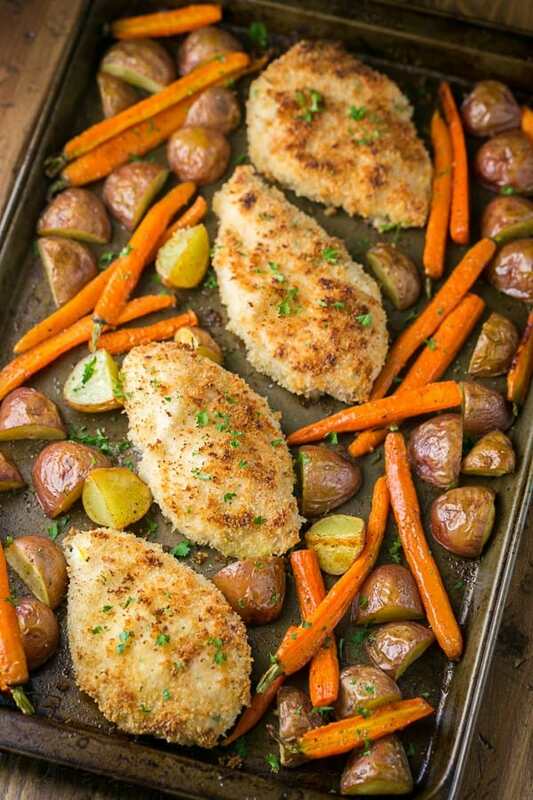 Crisp juicy chicken with sweet roasted veggies. It’s a quick and balanced dinner in one pan. How easy is that?! Click for Recipe from Natasha’s Kitchen. 3. 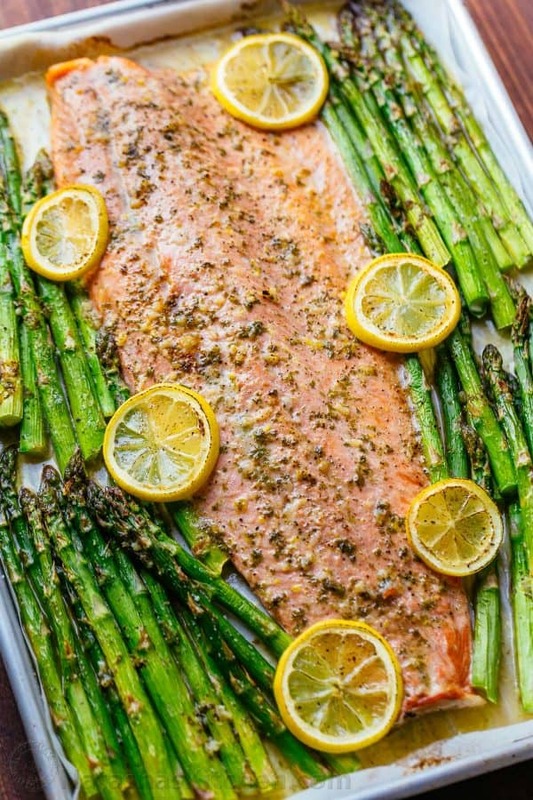 The juiciest salmon in a lemon garlic and herb butter. 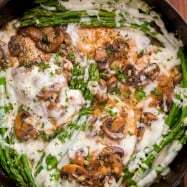 You’ll savor every bite and that asparagus is just as amazing! Click for Recipe from Natasha’s Kitchen. 4. 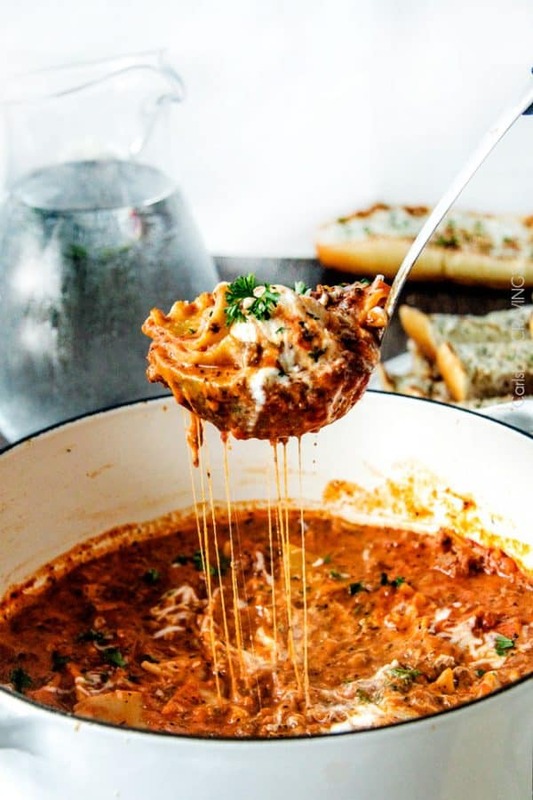 This one-pot Lasagna soup is all kinds of cheesy comfort! 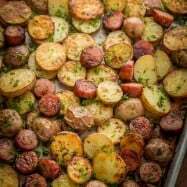 Click for Recipe from Carlsbad Cravings. 5. 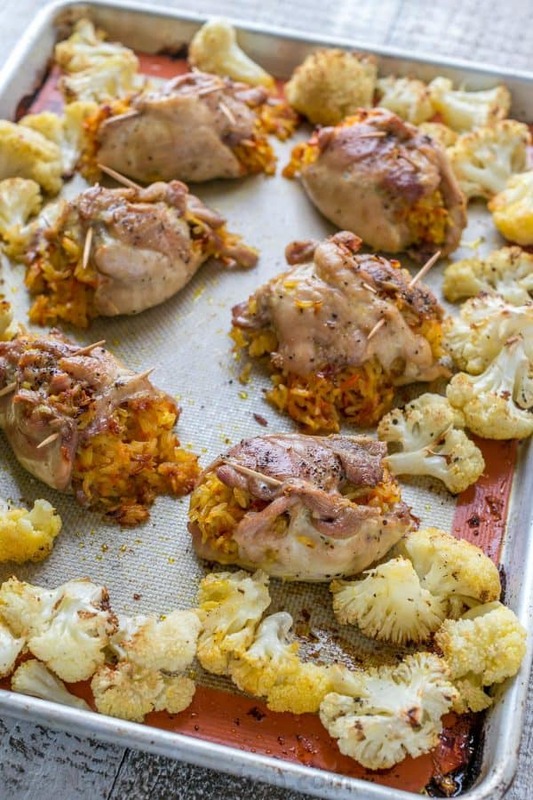 Chicken Thighs stuffed with cheesy rice, roasted along-side cauliflower… Need I say more? *Can be made ahead. Click for Recipe from Natasha’s Kitchen. 6. 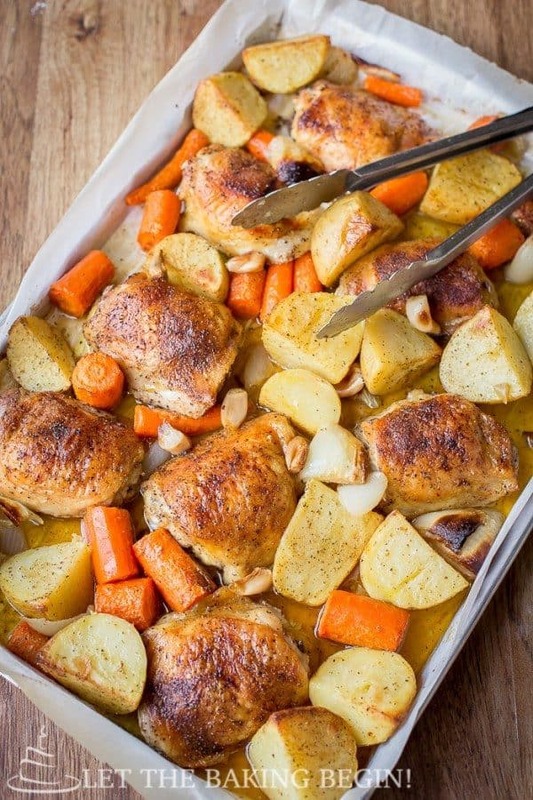 One Pan Chicken Thighs with Potatoes & Carrots – everything about this is good! Click for Recipe from Let The Baking Begin. 7. Creamy Chicken and Rice was wildly popular long before “one-pot” became a thing. You know what you like! Click for Recipe from Natasha’s Kitchen. 8. 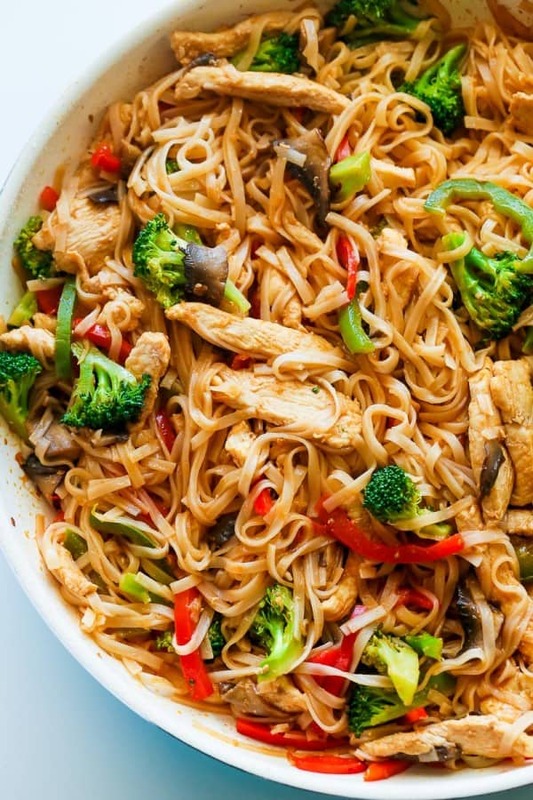 Chicken and Rice Noodle Stir Fry satisfies even the fiercest craving for takeout. Click for Recipe from Natasha’s Kitchen. 9. 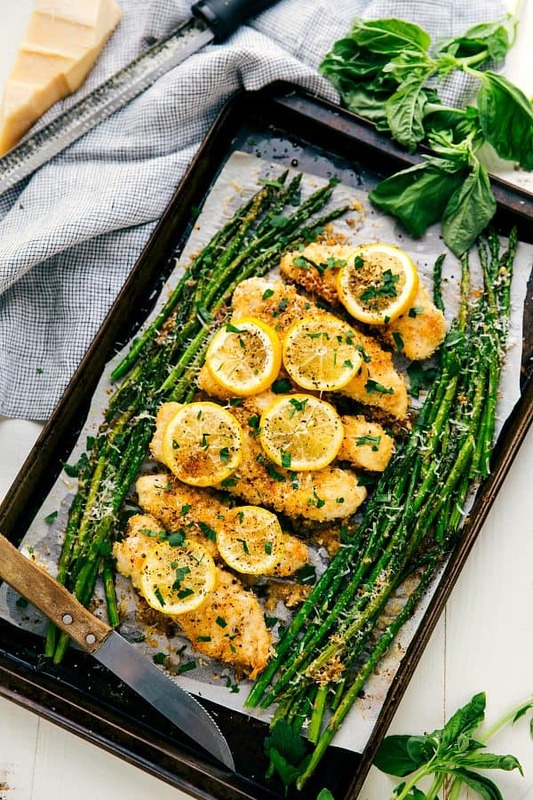 Garlic Lemon Parmesan Chicken and Asparagus.. OH YES! Click for Recipe from Chelsea’s Messy Apron. 10. 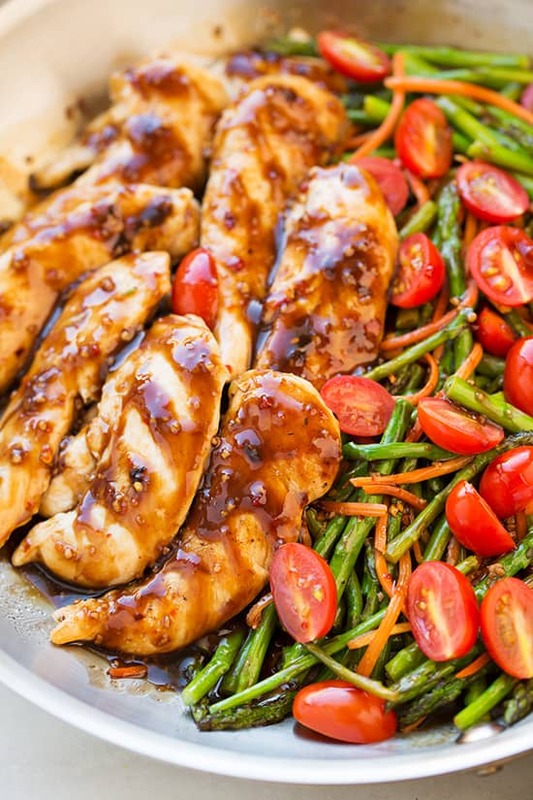 One Pan Balsamic Chicken and Veggies. So saucy, but light. How is that even possible? 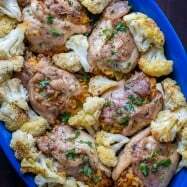 Click for Recipe from Cooking Classy. 11. 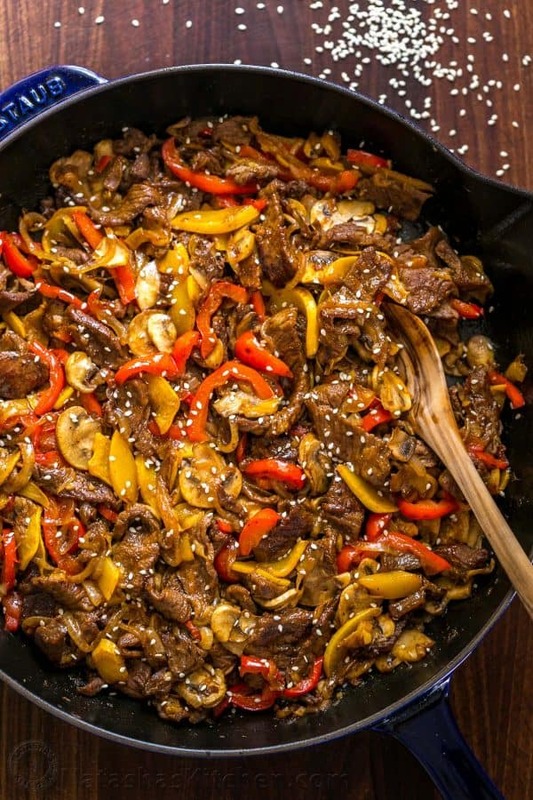 Beef, Bell Pepper and Mushroom Stir fry with a 3 Ingredient Sauce that will surprise you (I got this recipe from a chef!)! Click for Recipe from Natasha’s Kitchen. 12. Feeling Fancy! This one’s for you! 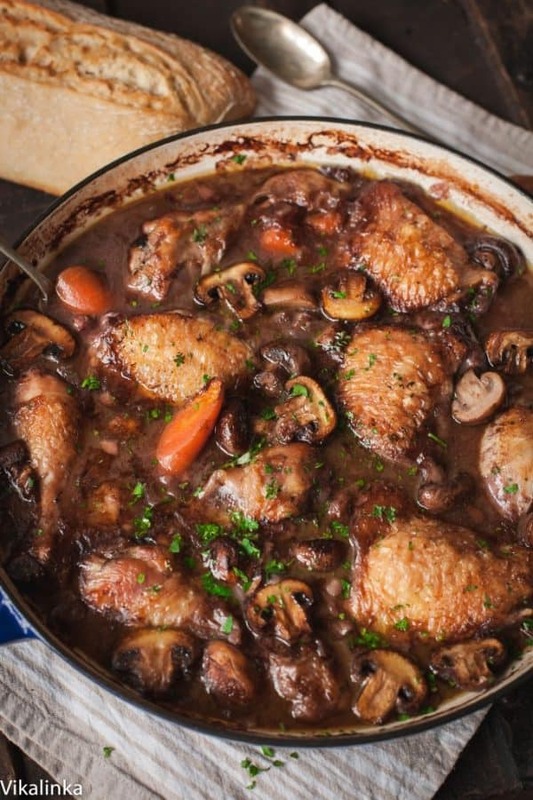 It’s hard to believe this Coq Au Vin masterpiece comes together in 1 Pan! 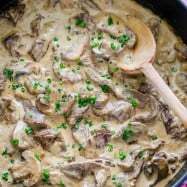 Click for Recipe from Vikalinka. 13. 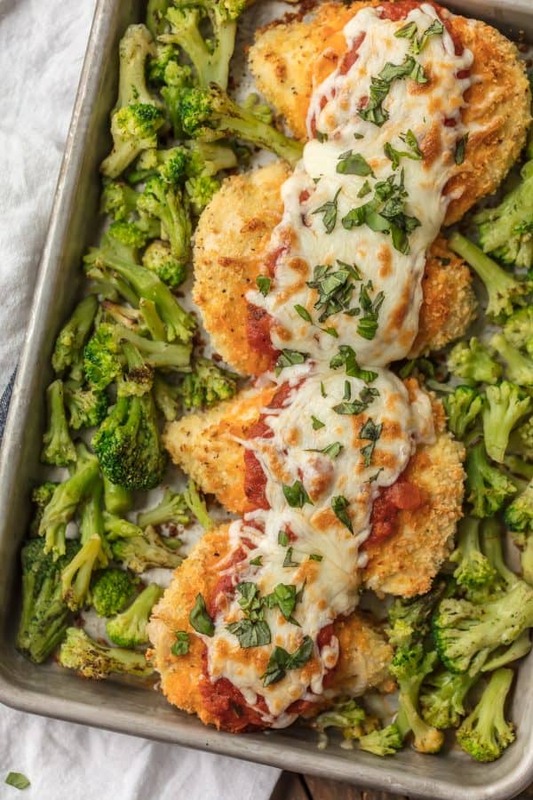 Chicken Parmesan with Broccoli – comfort food that’s baked, not fried! Click for Recipe from The Cookie Rookie. 14. 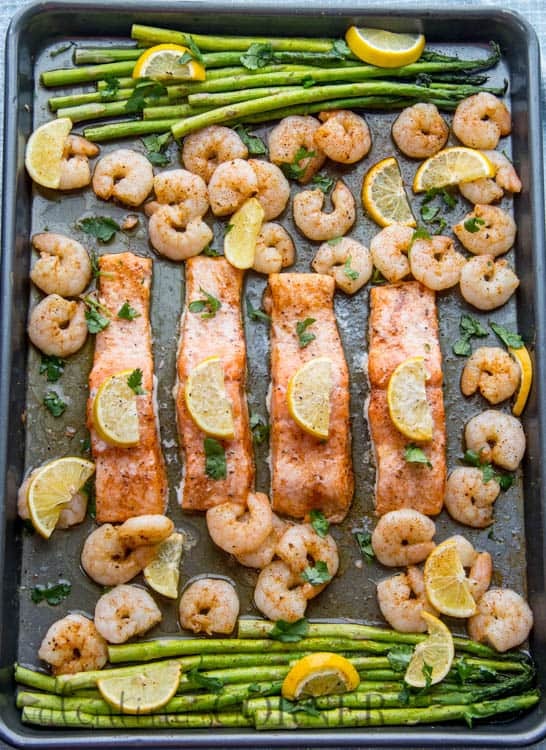 Such a fancy dinner with the salmon, shrimp and asparagus with just 5 minutes of prep! Click for Recipe from Valentina’s Corner. 15. 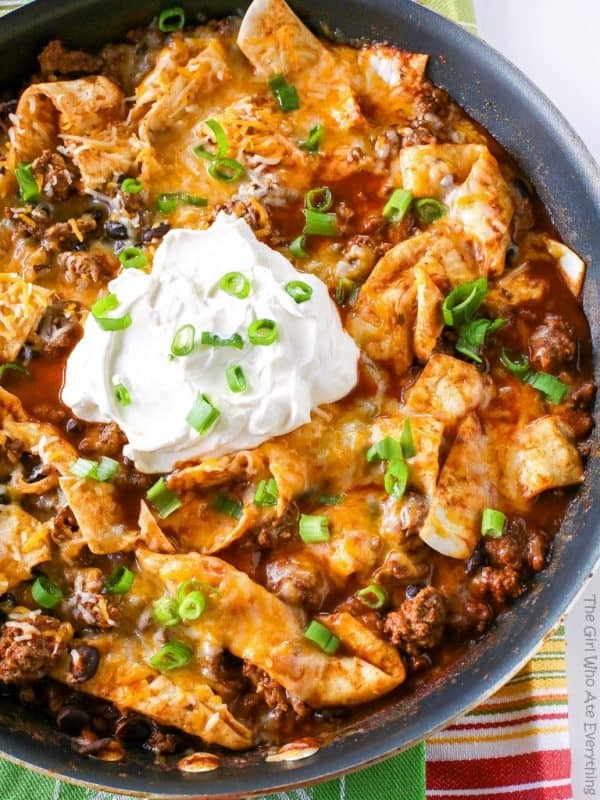 This beef burrito skillet is probably the smartest and easiest way to get your burrito fix. I can’t even handle the cheesiness! Click for Recipe from The Girl Who Ate Everything. 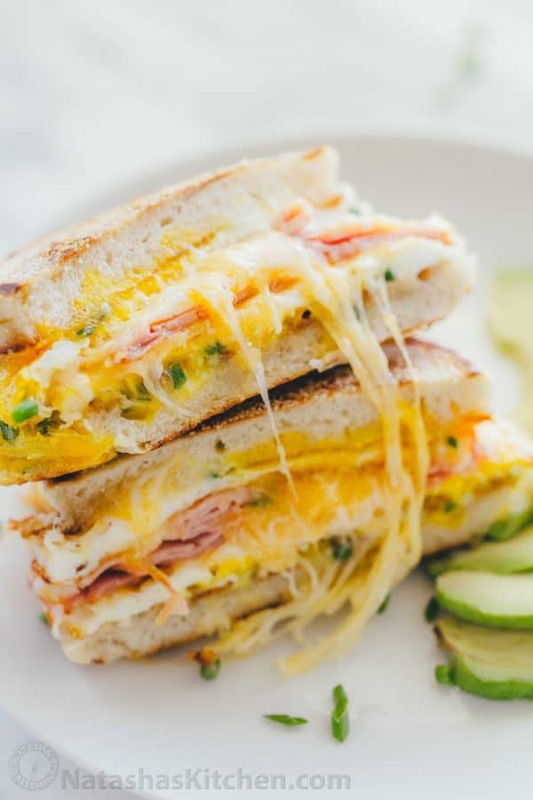 Tomorrow’s breakfast: the one-pan breakfast sandwich that took it’s place in history and is now on our regular rotation.Your mouth should be watering towards the end! 😉 Click for Recipe from Natasha’s Kitchen. 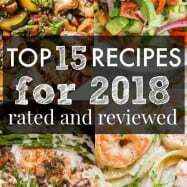 I hope this list of one pan recipes has you all kinds of inspired to make a healthy and delicious homemade meal. If you make one of these for dinner this week, let me know! your recipes are so close to Bosnian cooking. This millennial is thankful for your easy recipes. HVALA!